When writing tabs, the lowest string sits on the bottom, ascending to the highest string on the top. For example, if you have a guitar tuned in standard (e, A, D, G, B, E), the bottom line will read as the low e, leading up to the top line (high E). Every stringed instrument has its own tuning and tabs that follow. 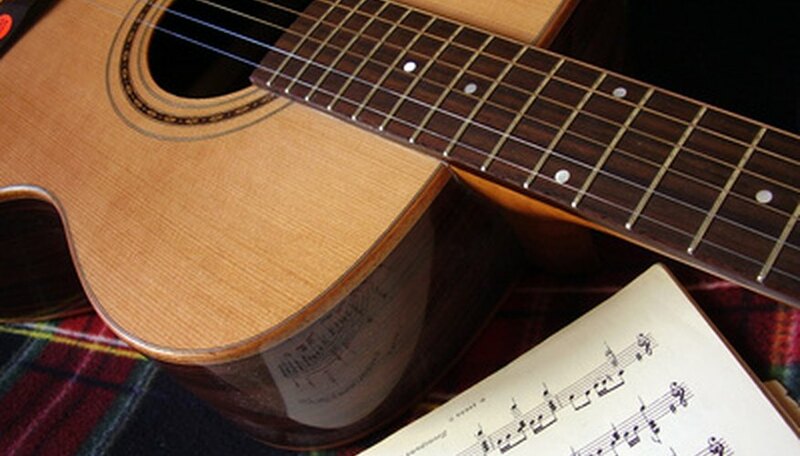 Regardless of your instrument, converting tabs into chords shares the same process. To stop going back to the tabs each time to read chords, you can construct a quick reference for yourself by converting tabs into written chords. Find your tab. Many websites house free tabs for budding musicians. The online community does not hold tabs for every song, however. If the tabs you desire prove difficult to find, try looking through one of the sites listed in the Resources section. Read the tabs from left to right. Each number will tell you which fret needs strummed on which string. If the number "3" sits on a line, hold down the corresponding string on the third fret. If the number does not have any other numbers above or below it, play it by itself (a single note). If the number does have any other numbers above or below it, play the two (or more) notes together, making a chord. Find the lowest note in the chord. Tabs help you identify this note by allowing you to look at the lowest line of the chord with a number. For example, if you're playing a guitar in standard tuning and the lowest note in the chord resides on fret "3" of the A string, that note signifies the lowest note you play. Discover your bass note. The progression of notes for music follows: A, A#, B, C, C#, D, D#, E, F, F#, G, G#, then back to A. For example, when the lowest note in the chord lies on the A string, start at A. The number that sits on the string tells you how many steps to count from the string note. If the number "3" sits on the string, for example, count three steps from A (A#, B, C). The third step ends on C, which indicates your bass note. In another example, if your low e string (the lowest in standard tuning) carries a "5," count five steps from E (which would give you a bass note of A). Hold down the rest of the notes in the chord. 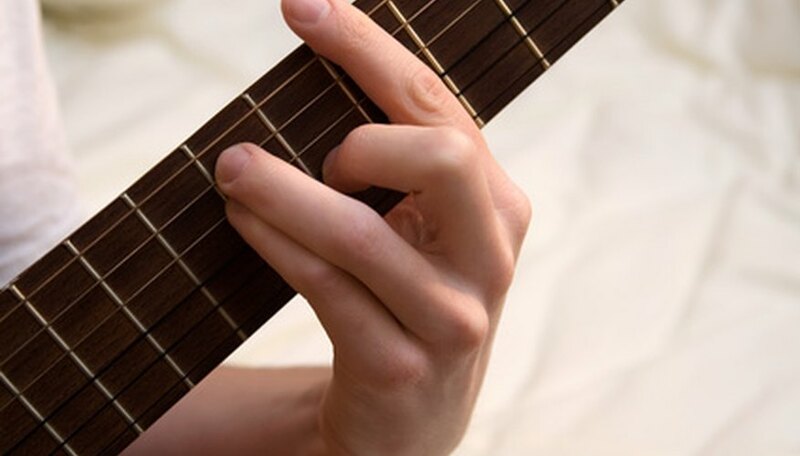 For example, the C chord on a guitar in standard tuning indicates that you hold down the third fret of the A string, second fret of the D string and first fret of the B string. Strum these strings, as well as the open G string (leave out the low and high Es), and you'll hear a C chord. Write down the notes in a chord format. List the strings from lowest to highest, going left to right. If you don't play a certain string, put an "x" in its place. The C chord would look like this: x3201x. If you'd like to write the chord in another way, draw vertical lines for your strings and horizontal lines for your frets. Reading the strings from left to right, lowest to highest, place the number on its corresponding string and numbered fret.